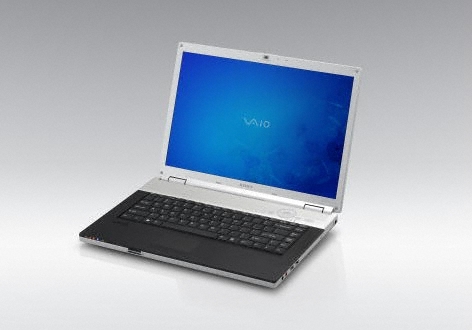 The Sony Vaio VGN-FZ180EB is a mid-size laptop PC with a nice screen. And in the PC Advisor Test Centre, the Sony Vaio VGN-FZ180EB turned in great performance and long battery life. In fact, if you can adapt to the Sony Vaio VGN-FZ180EB's slippery keyboard, you'll like this peppy laptop. It offers a big, bright screen, weighs very little, and has great battery life. The Sony Vaio VGN-FZ180EB is certainly well equipped, with plenty of connections and a huge 200GB hard drive. The Blu-ray Disc drive and HDMI (high definition multimedia interface) output port are nice extras, to be sure. The Sony Vaio VGN-FZ180EB's sound quality is dismal, however, and its A/V button does nothing more than launch Windows Media Player. But the Sony Vaio VGN-FZ180EB's 15.4in screen is superb. Based on Sony's proprietary Xbrite HiColor high-contrast technology, it is extremely bright and really makes colors pop. The good: Typically excellent Sony design; handy media control buttons; Blu-ray drive and HDMI output. The bad: Loaded up with adware and bloatware; no Bluetooth; not configurable. The bottom line: We can't imagine the market for a 15-inch home theater laptop with Blu-ray is very large, but the Sony VAIO FZ180 certainly fits the bill--even if it's preloaded with unwanted come-ons for other Sony products. Sony's latest combines a brilliant display, Blu-ray drive, and plenty of performance all wrapped up in a sleek package. We wish Sony would add a scratch-resistant coating to the lid and throw in an ExpressCard remote control, but otherwise the Sony VAIO FZ is a stellar 15.4-inch notebook. Its combination of power and portability is the best on the market for its class, and the screen is jaw-dropping. And at just under $2,000, anyone even thinking about Blu-ray would be a fool to pass this notebook up.